CEDRIC J. ROBINSON’S PASSING this summer at the age of seventy-five went virtually unnoticed in the media. Professor emeritus of political science and black studies at the University of California, Santa Barbara, Robinson was one of the most original political theorists of his generation, yet no major U.S. newspaper devoted a single paragraph to his memory. Although he deliberately avoided the pitfalls of intellectual celebrity, his influence was greater than perhaps he may have realized. 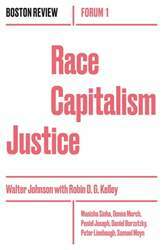 Today’s insurgent black movements against state violence and mass incarceration call for an end to “racial capitalism” and see their work as part of a “black radical tradition”—terms associated with Robinson’s work.